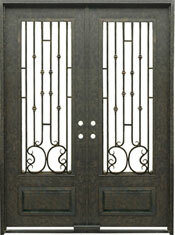 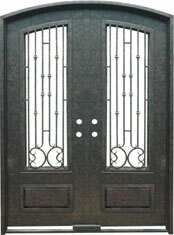 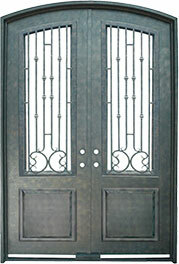 72" x 96" Segent 3/4 Lite Double Door (p/n 8851-72). 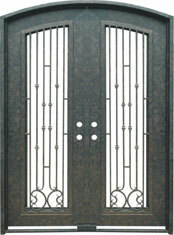 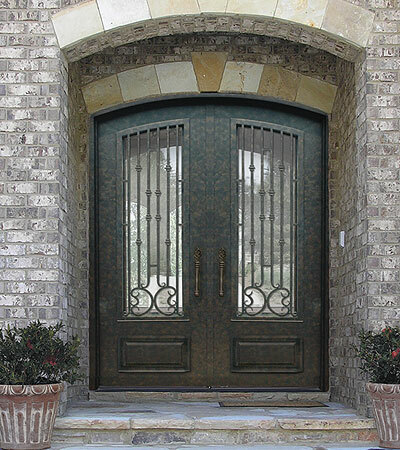 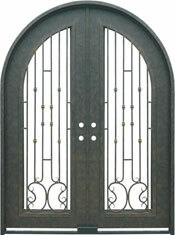 A strong design with restrained scrollwork identifies The Capri Series. 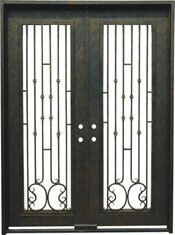 A classic composition that blends seamlessly with the rugged iron panels and frame.